There are dozens of tools you could use to send one-to-many text messages. These next 4 apps stand out because they offer the most features for a freemium price. 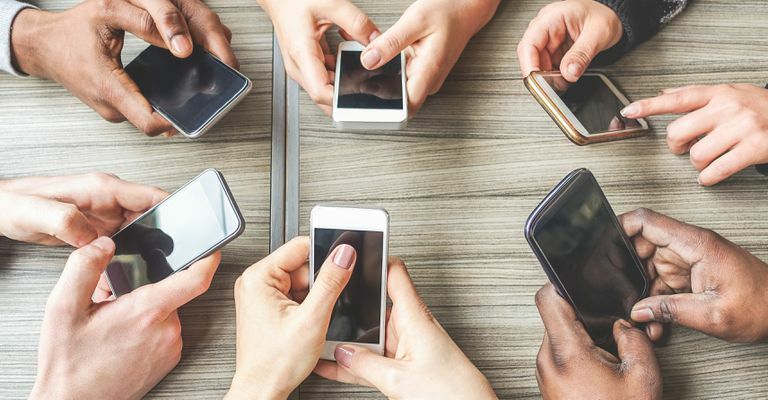 If you are a fraternity executive, a sports team organizer, a leader of a small project working group, or the organizer of a ski trip, then definitely consider these next 4 apps for connecting your people with their smartphones, tablets, and desktops! Much more so than email, text message and mobile devices follow people everywhere. 'Bite-sized' communications follow people into classrooms, meetings, on cycling and running trips, and even into the bathroom. If you want your group of volunteers or athletes or club members to stay in touch, group text messaging will reach them before email will. GroupMe is an excellent tool because it is so easy to get started. If your group is not used to group text messaging, and you need to culturally convince them to use it, then GroupMe is the easiest way to get them messaging each other. The calendaring, desktop interface and photo-sharing are all very helpful in GroupMe. If you don't know how you'll use group text messaging, then start with GroupMe as your first experiment. free for one year, then a dollar per year after that. WhatsApp is extremely popular across the world, so it can be easier to sell this tool to your group of users. It is the one app on this list, however, that has no desktop interface, so you're confined to typing on your smartphone and tablet. It is also a tool that does charge a small fee for yearly subscription use. If you're uncertain what tool to try for group text messaging, give GroupMe a test drive, and then try WhatsApp next. free for basic features. $7/month if you want advanced features. Slack is a nice-looking group messaging tool that fits somewhere between 'casual group' and 'serious project team'. If you don't need to manage critical deadlines and group workflows like tasks/updates/reminders/dates, then Slack is really a good option for its group and one-on-one conversation features. The shared documenting is definitely helpful for some groups. Ideal for: families/social/clubs/fraternities who want to do both group text messaging and video calling; can be a useful tool for work teams spread across different cities; sophisticated users who are comfortable switching between Google tools like calendaring and Google Drive. Google Hangouts is very powerful and offers both group text messaging and video/phone conferencing in one place. Subjectively, it doesn't quite have the intimate and warm 'feel' of GroupMe and Slack. It also requires enough computer-savvy to navigate between Google Hangouts, Google Drive, and Google Calendaring. Google Hangouts is a powerful tool for a group of users who are more serious about their messaging and using multiple tools.